I will pass on this feedback to the EVO developers. deskshare2-macos32-1060.zip is no longer available from the URL above, I guess that distribution of a more recent build (for at least some users of Mac OS X) began around 30th September. * when the user double-clicks on the display icon, top left of the EVO_DeskShare window. 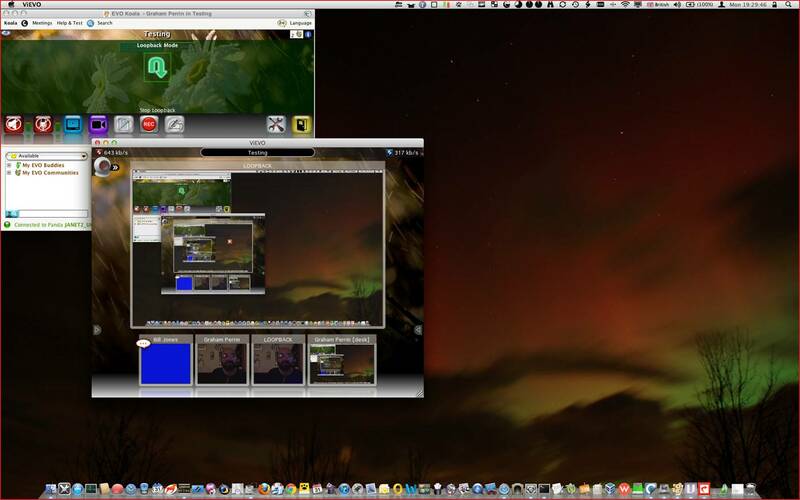 After launching EVO_DeskShare: use audiovisual controls in Koala to switch EVO_DeskShare to, and from, fullscreen mode. 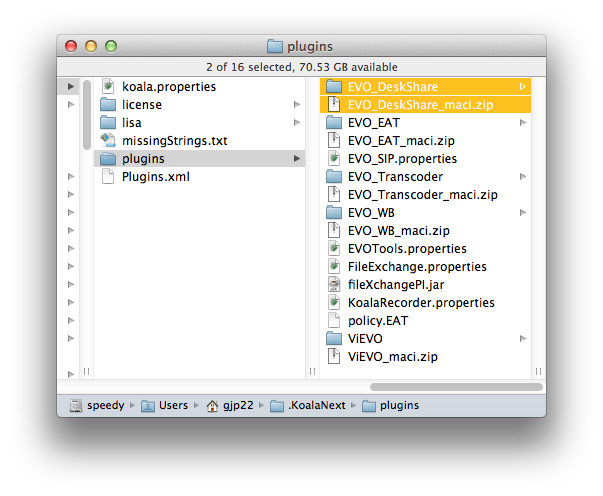 Audiovisual controls in Koala offer to share windowed (to switch away from fullscreen) *before* fullscreen is enabled; and then EVO_DeskShare 2.0 (30.9.2011) crashes when that switch is used in Koala. The .zip will be regained and the directory recreated, after which the switch in Koala appears as it should. Somewhere between the failed workaround and that successful workaround, there may be a success that involves less removal. If I reproduce the second symptom (the switch in Koala apparently out of sync with the true state of EVO_DeskShare) I'll use Koala to send feedback.